I'm pastin' a link, I'm checkin' it twice. You're gonna find out who's naughty or nice (and often both). Toronto Flingers are comin' to town – and some, marked with an (N) are also goin' to Niagara. Discover who's who and who'll be here, or at least those confirmed to-date. We'll update as things change. Get to know the nice, the naughty, and the bit of both by visiting their blogs. And comment! See anything wrong or anyone missing – or anyone who really should be coming but hasn't committed yet? Nudge me or them, as the case may be. And, if you're coming to Toronto, you can download the Fling badge to the right and add it to your blog, with a link back to this site. Spread the good word! 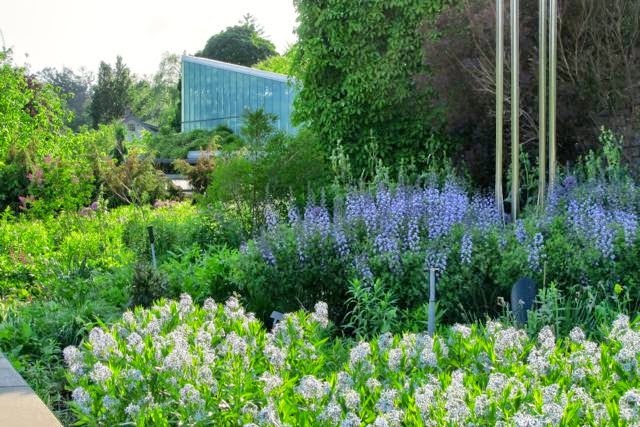 Our first stop on our optional day in Niagara will be the Laking Garden at the Royal Botanical Gardens (RBG). 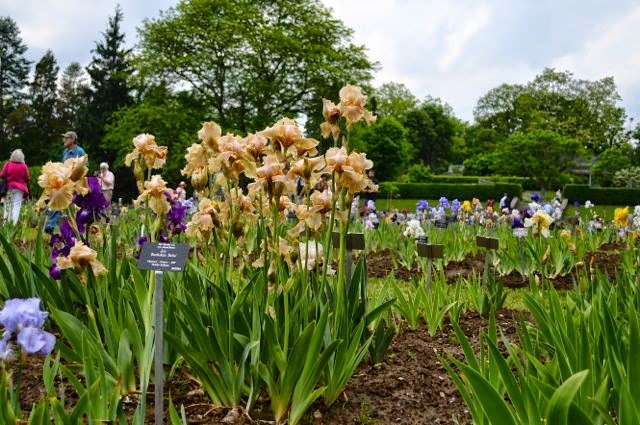 The star of this space is the RBG's collection of over 1000 types of iris. This garden was redesigned in 2013, and these pictures were taken very close to Fling time the following year (after what I call the Polar Voldemortex winter of 2013/2014). That means we should be viewing it in the "leap" phase of the sleep-creep-leap adage, even if winter 2014/15 gives us a repeat performance. If you love irises, this is a chance to get up-close and personal. 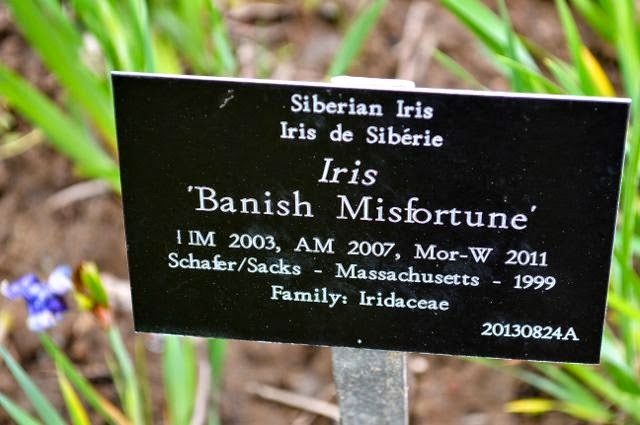 Here's Iris 'Banish Misfortune.' Great name. Excellent plant labels and interpretive signs make the Laking Garden educational as well as inspiring. 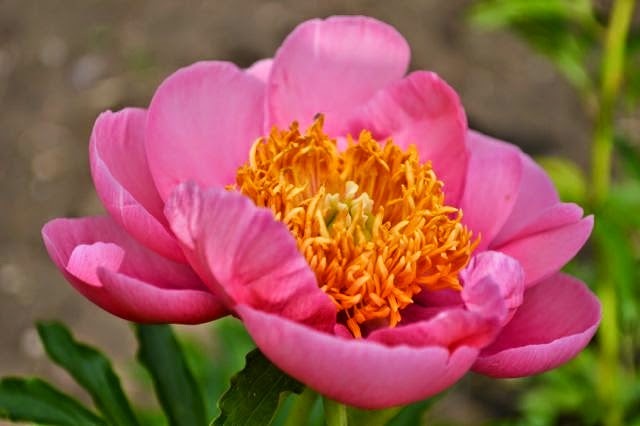 The Laking Garden is also home to other collections, including peonies, clematis and hostas. Framed by formal elements, it will be a picturesque way to begin our Niagara excursion. 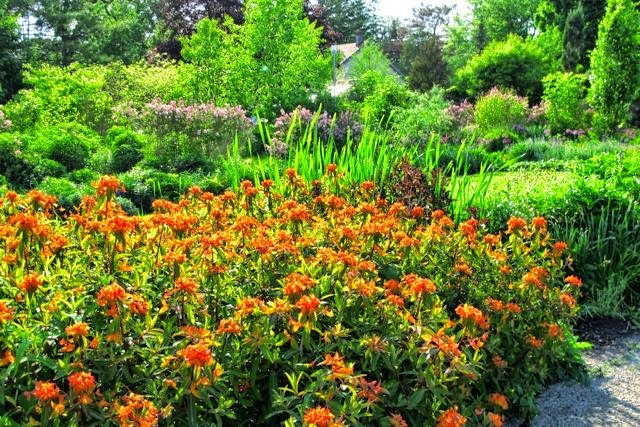 June is the month for perennials at RBG and this is when the Laking Garden is at its best. Take a tour of the spectacular Iris and peony collections which showcase rare and unusual cultivars from the 20th and 21st centuries. In particular the iris collection is one of the most unique collections of its type in North America. 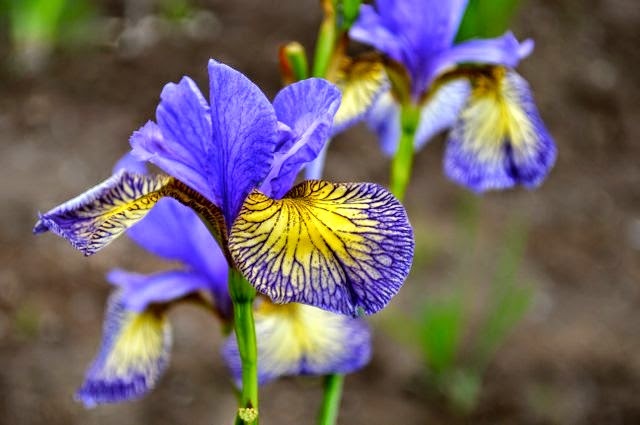 Travel through time and look at breeding trends through the decades, marvel at a complete collection of Dykes Medal winning iris and take a look at the latest trends in Canadian Iris breeding. This experience is an unrivalled and intimate opportunity to experience these collections for plant connoisseurs up close. 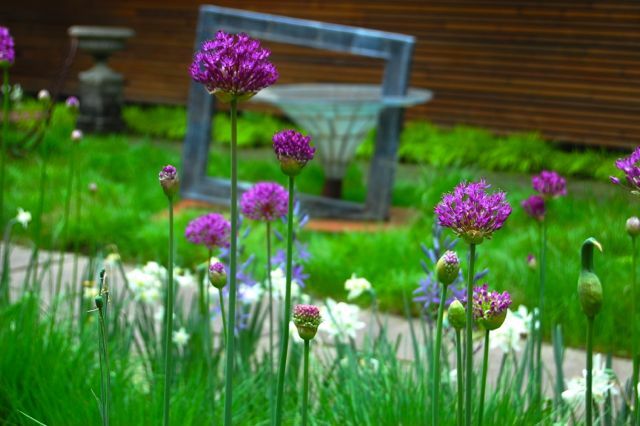 We hope to have the pleasure of your company in the Laking Garden on June 8th. Thanks, Nick! We're looking forward to our visit. 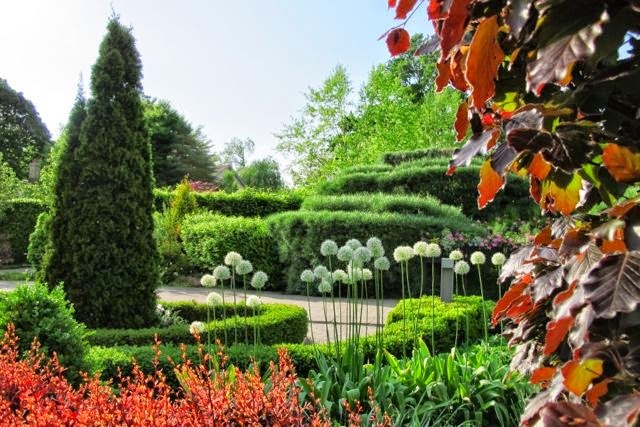 We're delighted that two delightful Forest Hill gardens have agreed to open their gates to us for the Toronto Fling. Call it double delight! These are sneak peek pix only. Stay tuned for more. 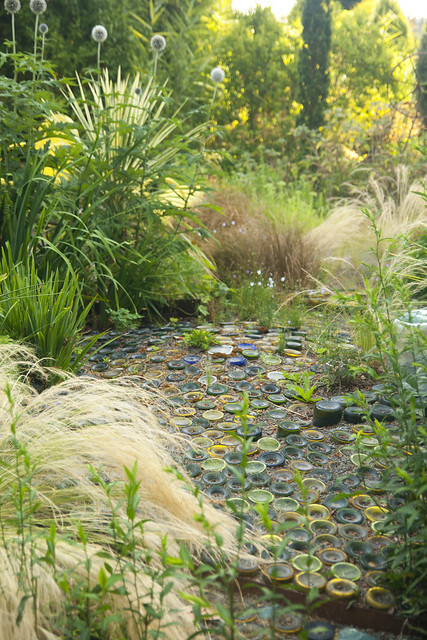 A plant-lover's garden around a lovely Arts-and-Craftsy home, with the greenhouse you all want. No, you do. Hope you'll get to see Dupont Station when you come. 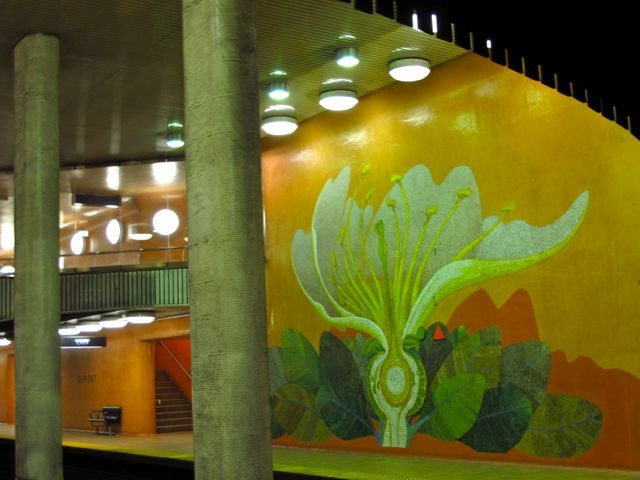 Wish our subway stations were all this beautiful! It's the time you've all been waiting for. See information on fees for the Toronto Fling 2015 at this link. And, if you haven't yet done so, please check to see if you qualify at this link. After receiving your application, we'll email you a PayPal invoice – one for the Fling and one for the optional day in Niagara, if requested. Registration is on a first-come, first-served basis. Please pay on receipt to avoid disappointment. There will be no confirmation until your payment is received. According to PayPal, processing payments can take a couple of days. Our email will also include the Fling discount code and booking link/phone number for our hotel. PLEASE NOTE: Into every Fling a little rain must fall. We have just learned that all Standard Rooms at the Fling rate of CAD$179 have SOLD OUT for June 1-4. What can I say? Everyone wants to come to Toronto. For June 1-4, we have negotiated a reduced rate of CAD$239 (Deluxe Room, reg. CAD$419). Plenty of Standard Rooms are available from June 5 to 8, our main Fling days. However, do be prepared to switch rooms if you have different requirements for different parts of your stay. If you prefer not to change rooms, you might opt for the higher rate for the full term of your visit. It's still a great rate for an iconic hotel. We're working hard to ensure it will all be worth it. Get ready, get set, Fling! Toronto awaits you. 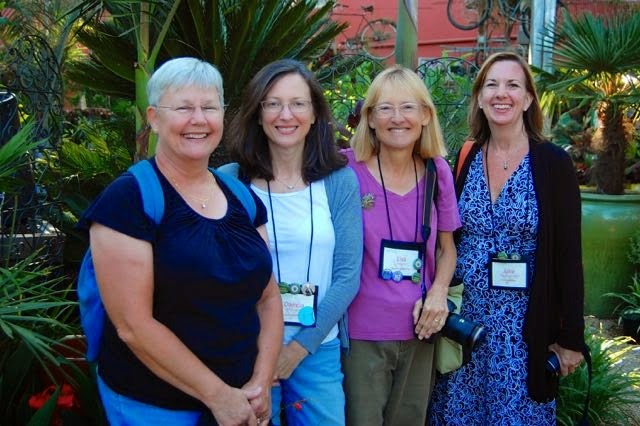 In just a few days, we'll open registration for the Garden Bloggers Fling 2015 in Toronto, Ontario, Canada. We want to give you as much advance detail as we can, so you'll be ready to hit "Purchase" on PayPal to reserve your space. Don't yet have a PayPal account? Why not open one today? They're free. We're using PayPal – and only PayPal – to reduce fees and make life simpler for international visitors (as well as for ourselves). While we wish we could invite everyone, there's only so much room on the buses – literally – and only so many people our volunteer organizers can juggle. In 2015, we have 80 spots, including organizers. Thanks to the Fling Advisory Committee for outlining how to qualify for this limited-registration event. We strongly encourage newbie bloggers to come, but if you don't qualify this year, keep at it and Fling with us next year. Please visit the link to read all about it before you apply. The registration fee is equivalent to that of the previous two years (US$250) – that translates into $275 in Canadian currency. While we are still hammering out other details, Fling registration will cover bus transportation to and from the gardens, lunches and our final Fling dinner. As always, a Fling is a not-for-profit event covering expenses only and organized by volunteers. The Toronto Fling is also offering a Fling first – an optional (and exciting) fourth day in the beautiful Niagara region for CDN$125. This will cover bus transportation, breakfast, lunch, a stop at a winery for special tasting, plus tours through some amazing gardens. Our bus holds 55, but we will need at least 40 attendees to make this feasible. Depending on the response, this fee might change. As these are simply shared costs with taxes included, there is no tax on either Fling registration fee. A reminder that the dates are Friday through Sunday, June 5, 6 and 7, 2015. We'll also have a welcome event Thursday evening, June 4th to take into account for your travel, and the optional Niagara day will be on Monday, June 8. 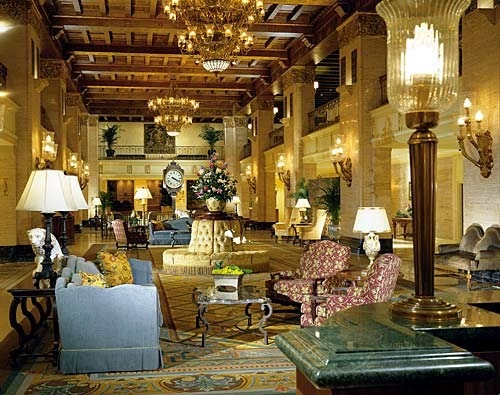 For Hotel rate information, check here. 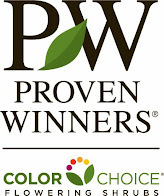 We look forward to showing you some wonderful things! 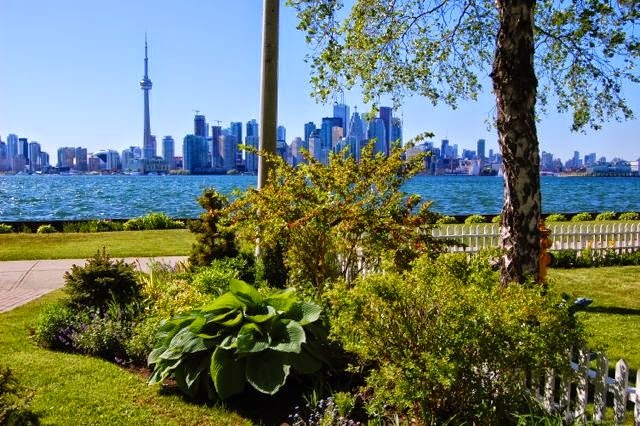 On the first afternoon of the 2015 Fling, Friday, June 5, we'll share an experience that's quintessentially Toronto – we'll ferry across the harbour to explore the delightful cottage gardens on the Islands, Ward's and Algonquin. Small, informal, sometimes quirky and always personal, they are a must-see. 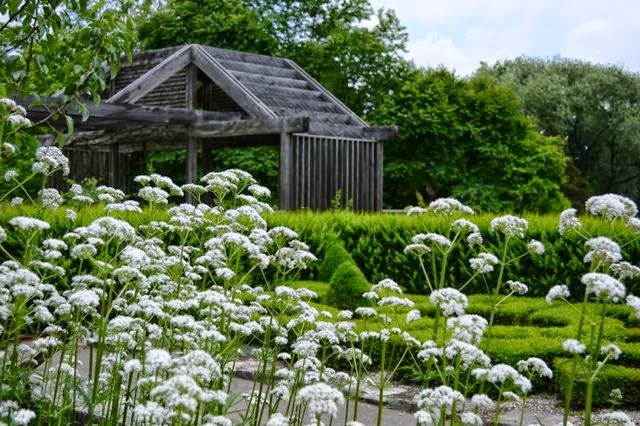 As Flingers, we'll enjoy an exclusive preview of the annual Toronto Island Garden Tour, having all afternoon to see the gardens – and the Island – in advance of their official tour days on the Saturday and Sunday, June 6 & 7. We'll post news as it becomes available. 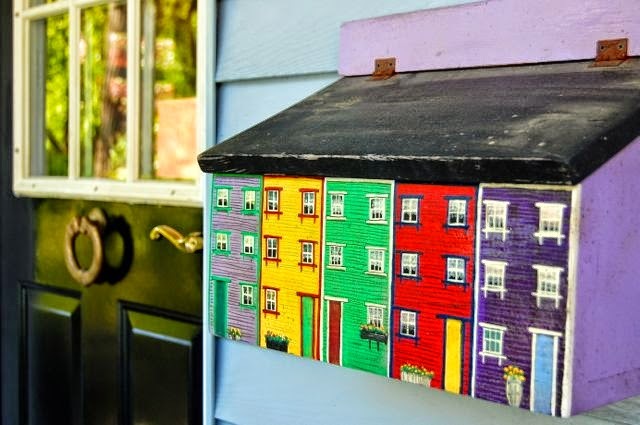 The Toronto Island Community is unique. 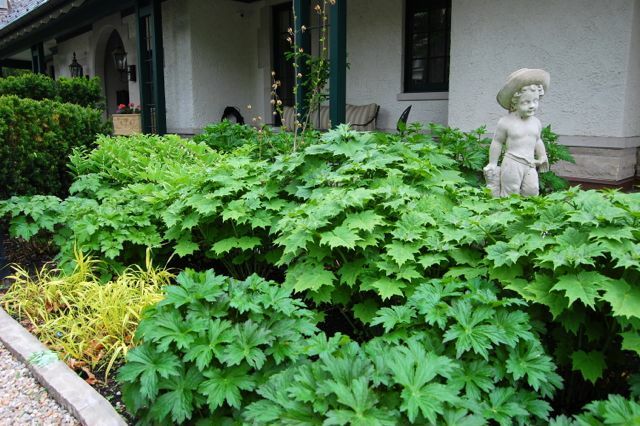 The 262 homes here are part of a lush setting that has been a public park since 1887. It's a car-free zone (only Parks vehicles are allowed) and Island gardeners must ferry in anything they need from the mainland, whether manure, garden fencing or statuary, and then hike it to their lots via bike or cart. These are dedicated (and resourceful) gardeners. When we arrive at the docks, be sure to stick together for our Fling group shot, with the skyline as our backdrop. More information to come as the day draws nigh. Watch this space for updates. Two of our Toronto Fling organizers, Lorraine Flanigan and Sarah Battersby, stroll down one of the Islands' leafy lanes. Island gardens are full of cottagey touches, and have a different microclimate than mainland gardens. 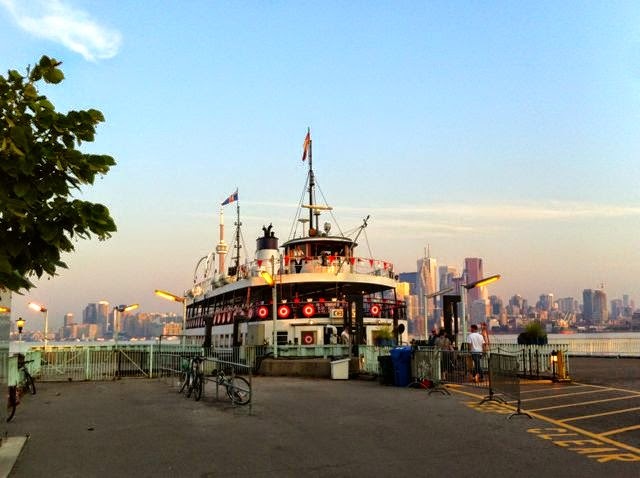 After your afternoon, you'll be free to hop the return ferry at your own pace. It's a short walk back to the Fling hotel. When you register for the Fling, we'll include our Fling discount code for the hotel and reservations number or weblink to our online reservations page. 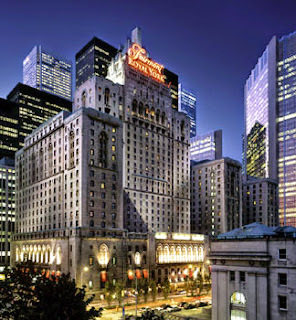 The Fairmont Royal York is right downtown, just across Front Street from Union Station, for travellers by train and for subway transit for those extending their visit to explore the city. Directions to the hotel are here. We're also crossing our fingers that the brand spanking new Union Pearson Express rail service from/to Pearson International Airport (YYZ) will be finished on schedule and in time for our Fling. We'll keep you posted. Other options for land transport from the airport can be found here. And downtown's Billy Bishop city airport (YTZ) is just a few blocks away by cab. The Royal York is also directly connected to the city's PATH system, our huge underground shopping network. Construction is a way of life in any major city, and downtown Toronto is no exception. But with the Pan Am/Parapan Am Games happening just a few weeks after the Fling, we hope to show you a city that looks and works at its best. *All room rates are subject to Ontario’s 13% Harmonized Sales Tax (HST) as well as a DMP – Destination Marketing Program Fee of 2.66% plus HST = 3%. 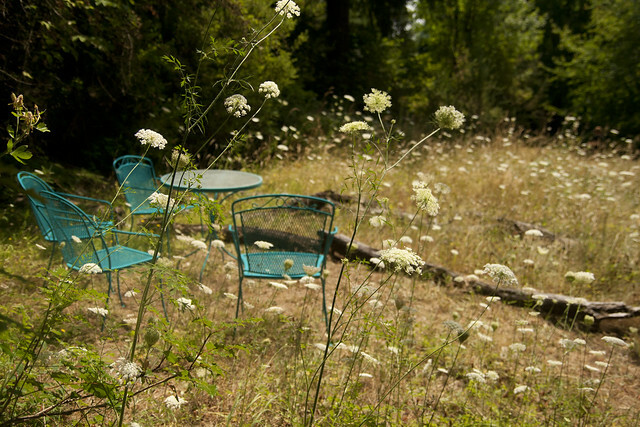 Will you be here when, for the first time, the Garden Bloggers Fling ventures beyond the U.S. borders? 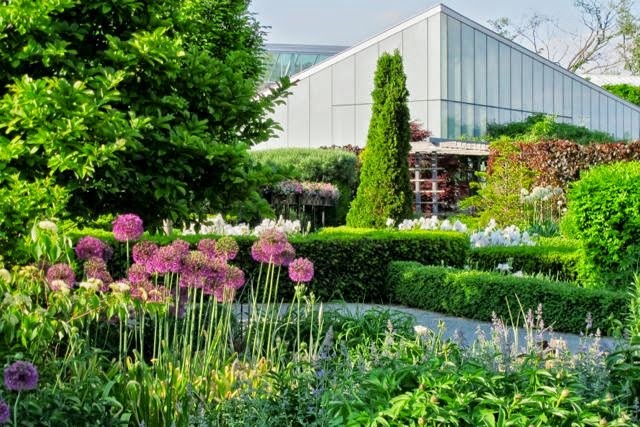 Yes, on June 5, 6 and 7, 2015 (with an optional day of Niagara gardens being planned for June 8), the Fling will convene in Toronto, Ontario, Canada. That's Canadian Zone 6 and USDA Zone 5, for those playing along at home. And we're creating an exciting itinerary… just for you. 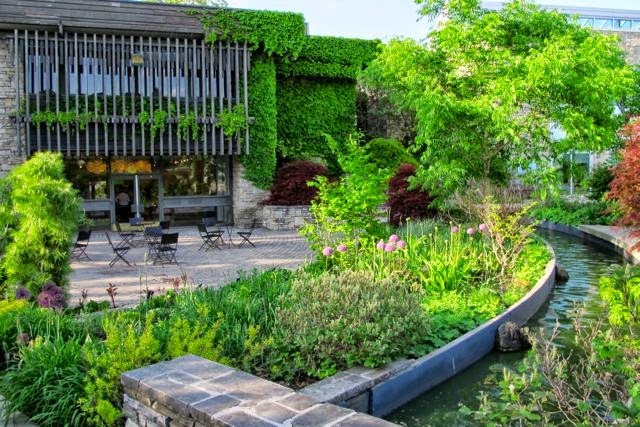 We begin our teasers as we will end our official 3-day get-together, with the location for our Fling dinner, the Toronto Botanical Garden. 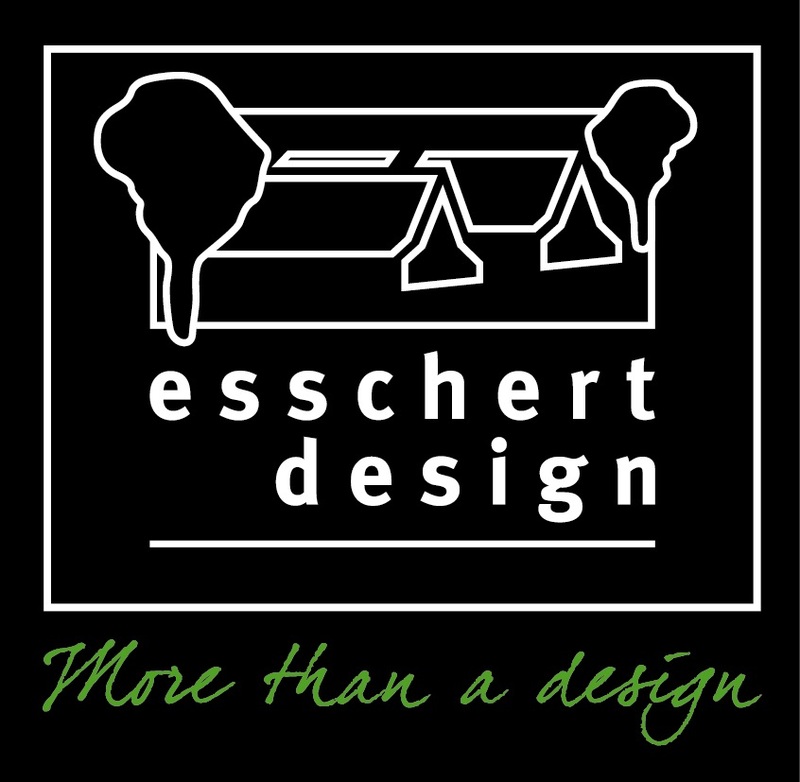 The TBG is truly rolling out the green carpet for us, and we're thrilled to have their sponsorship as well as their breathtaking setting for our culminating event. Polish up all your social media accounts (such as Twitter or Instagram), because they'll come in handy, especially at the TBG. The official hashtag for this year's Fling will be #GBFling15. More details will unfold soon. We're hoping to open our registration early, perhaps before the winter holidays. Warning, especially to Canadian newbies who haven't yet "flung": last year's Fling in Portland sold out in one week. So, be ready, be steady… we'll give you a heads-up before we say go! 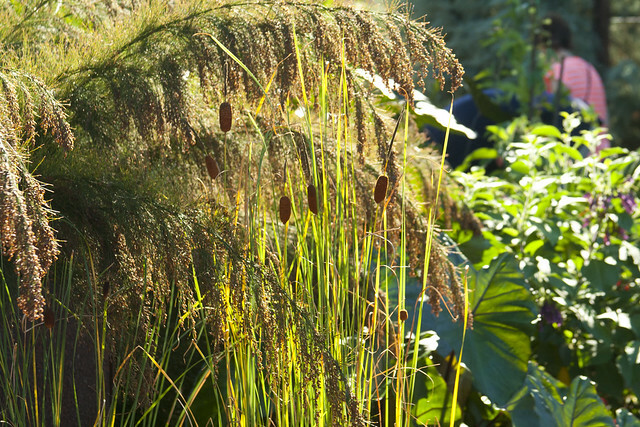 This is a space for any post that doesn't quite fit in to any one garden, whether it be travel-related, about multiple gardens, or just general Fling musings. The Fling is over now and all of us on the planning committee had a great time...we hope you did too! 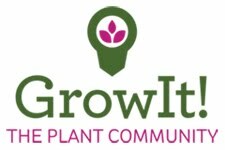 As in the past, please put links for your own posts about each garden in the corresponding post on this site. To make things a little easier, we've implemented the same linking system used by several Memes...if you've participated in Garden Bloggers Bloom Day, it will be very familiar. At the bottom of each post, you'll see the graphic below followed by a simple form for submitting your own links...hopefully this will be easier than posting in the comments section. Also, to make it easier to navigate, here's a list of all the gardens, just click on the name to go directly to that page, we can't wait to see all your posts!!! Also, just an FYI...the linking widget used is sometimes almost instant, other times, it might be a few minutes before your link shows up. 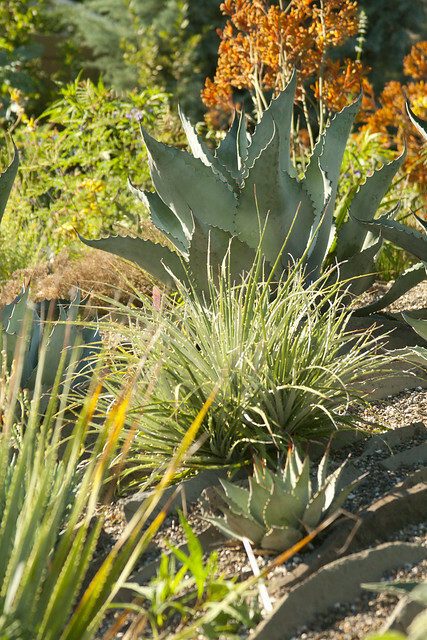 This half-acre garden designed by Sean Hogan of Cistus Design Nursery is entering its fourth year and emphasizes Mediterranean acclimated plants. 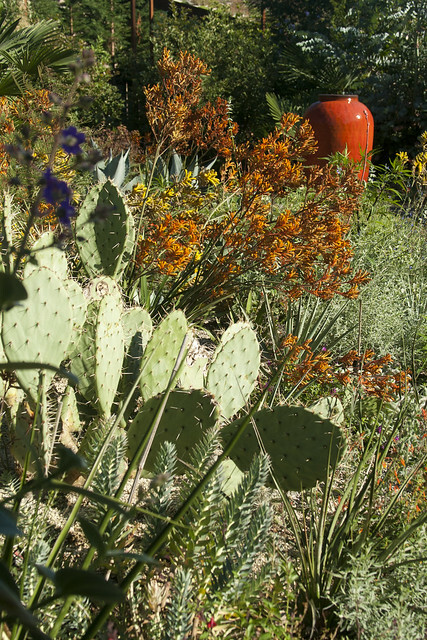 The front entry garden, with nolina, agave, arbutus, arctostaphylos, Dickonsonia antarctica, and several large Quercus suber, surrounds a decomposed granite courtyard. The back garden has a reflecting pool facing a broad, graveled courtyard flanked by trachycarpus and several Jubaea chilensis. 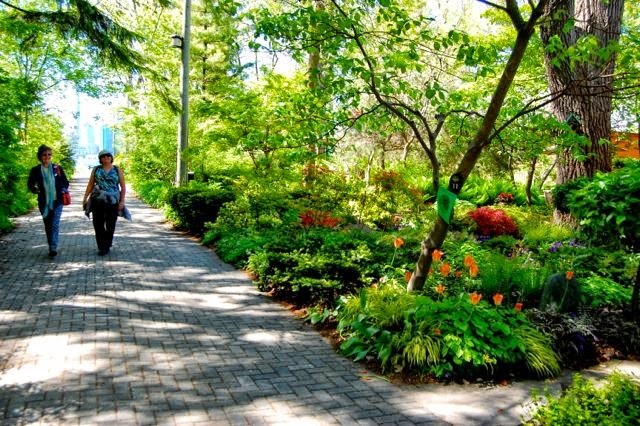 Wide gravel paths lead to broad leaved evergreen trees and shrubs, several tropical areas; and several large succulent beds with a rock crevice section. The green roofed garden shed is adjacent to various eucalyptus varieties and several beds of bamboo. This winter, with an arctic event in early December (I estimate 10-12 degrees low in my garden, at 600 ft elevation) was challenging. I lost some zone 7 plants that had not hardened off due to a mild fall. 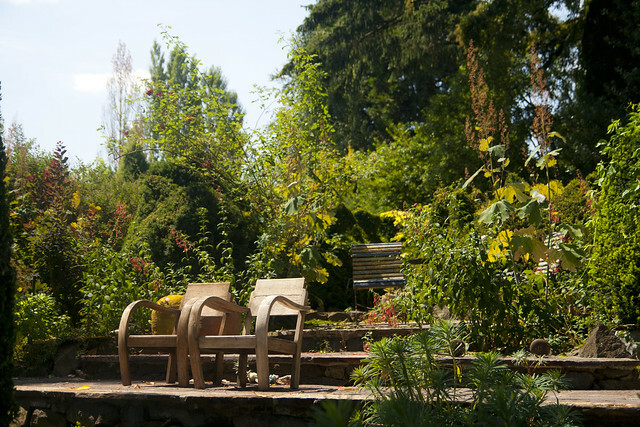 Many thanks to the Portland Garden Bloggers Fling Committee for including me in your tour and I look forward to meeting you all. 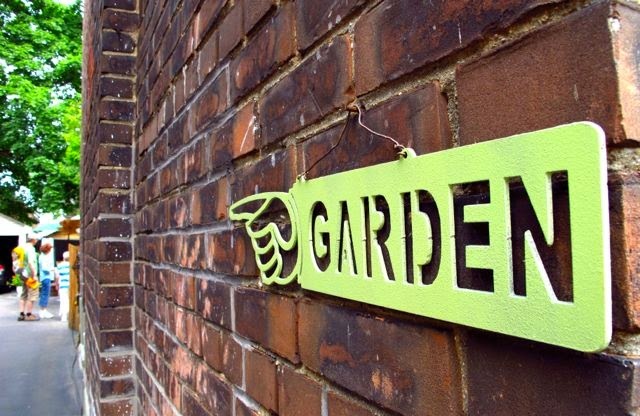 Here are Blogger posts about this garden!